Yup. 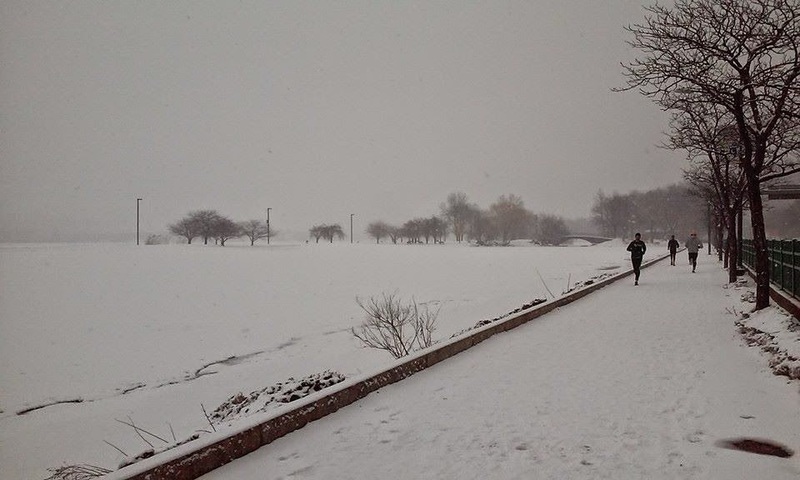 As of March 21st, we've piled up 110.3 inches of snow in Boston this winter, with absolutely no sign of Spring in sight. Needless to say, a warm, belly-filling meal was a must for our first shivery afternoon of the 2015 season in the parking lot of Gillette Stadium. I've been eyeing DIY Pot Noodles since a friend gifted me Hugh Fearnley-Whittingstall's River Cottage Veg over a year ago. If you're in the market for a vegetarian cookbook, it's a great one. 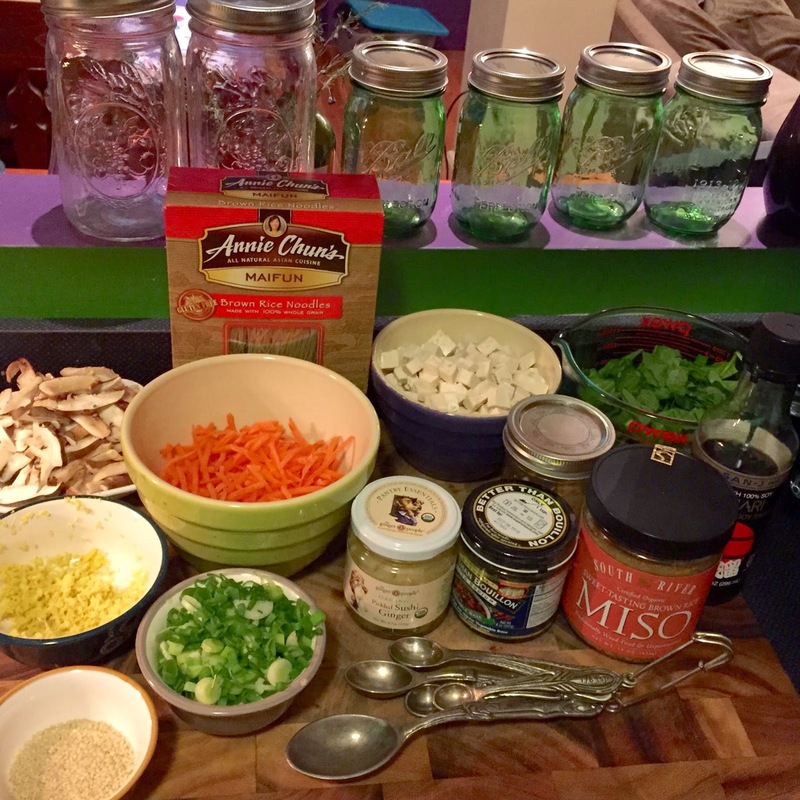 The concept of instant pot noodles is so simple, I can't believe I haven't tried it before: Pile up your soup ingredients in a jar, omitting any liquid. When you're ready to serve, pour boiling water into the jar, seal it for three minutes, and Ta-Da! Hot fresh soup! In the case of the wayward tailgater, all this took was boiling a tea kettle filled with water on my grill. All the convenience of instant Cup Noodles, except with infinitely better ingredients and flavor. Note: I recommend using very thin, quick-cooking noodles. I went with Annie Chun's Maifun Brown Rice Noodles. They were fully cooked after resting in the hot water for only 3 minutes. This recipe is based on a variation from the River Cottage Veg recipe created by J. Kenji Lopez-Alt at Serious Eats. I followed the recipe almost exactly, making only two additions. I added a block of lite firm tofu (pressed and diced) to make the soup more filling and was considerably more generous with my vegetable portions than suggested. Because I love spinach. Drain tofu. Wrap it in a few layers of paper towel and place between two plates. Lay 1 or 2 heavy cookbooks on top of plates to press liquid from tofu for at least 15 minutes. (Alternatively, if you own a tofu press, go ahead and use that.) Dice the tofu. 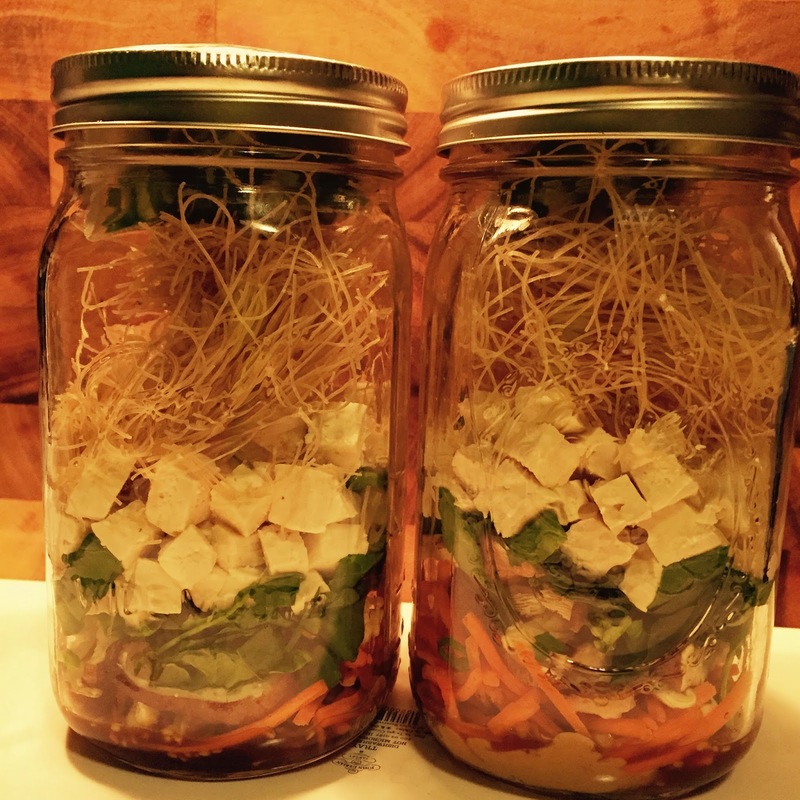 Divide grated ginger, miso paste, vegetable base, tahini, sesame seeds, soy sauce, carrots, mushrooms, spinach, tofu and noodles evenly between 4 resealable glass jars. Season lightly with salt and pepper. Divide green onions and pickled ginger between 4 small zipper-lock bags and seal bags, squeezing out all of the air. Tuck a bag into the top of each jar and seal lids. Refrigerate for up to 4 days. When you're ready to serve your pot noodles, remove green onion/ginger packet and add boiling water the jar until noodles are fully covered. Seal the jar and let sit 2-3 minutes. Open jar, stir in scallions and ginger, and serve. Let me know if you decide to try the recipe or discover any delicious variations. Here's to hoping this weekend I don't need to keep hand warmers in my pockets during the Revs match!